Switzerland witnessed a 23.4 per cent increase in the overnights spent by Indians in Switzerland in 2017. Indian tourists are increasingly looking at Switzerland as a travel destination because of the plethora of options it offers to each traveller. In order to showcase these diverse options, Switzerland Tourism has taken its multiple offerings across Mumbai, Pune, Kolkata and Delhi through its recently-concluded annual roadshow. Switzerland’s increasing number of Indian overnights can be attributed to Bollywood actor Ranveer Singh coming on board as the brand ambassador. “This year has also been a very exciting one for Switzerland Tourism with Ranveer Singh continuing as our brand ambassador. He has showcased Switzerland in a very attractive and diverse light, be it adventure, sports, culture, food, new destinations or experiences. Each year, we see a growing interest among Indian travellers but 2017, thanks to Ranveer, the overnights have been extremely high. Our numbers this year are also encouraging – we are up 10 per cent in hotel overnights in the period January to August 2018 as compared to the same period last year. Besides this campaign, we also continue our travel trade campaigns – with regular webinars, training sessions in tier two and tier three cities as well our new e-learning modules on the Switzerland Travel Academy,” said Claudio Zemp, Director–India, Switzerland Tourism. 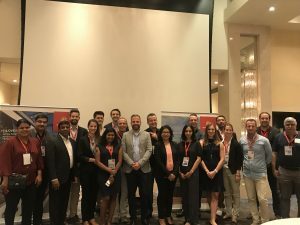 The roadshows in all the four cities had a B2B session where Indian travel agents met and discussed business prospects and ideas with the Swiss delegation. 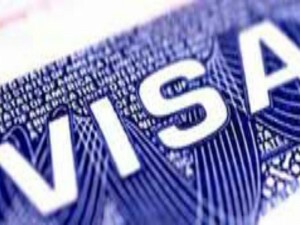 Citizens of India can now be granted a visa waiver for a period of 30 days on their arrival in Qatar, upon certain conditions. The passenger’s passport must be valid for at least six months and must have a confirmed return ticket. He/she must have a valid credit card. (For a family travelling together, the card must be in the name of the passenger or one per family). Passengers should also provide a confirmed hotel reservation. 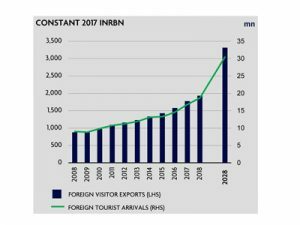 Visitor exports are a key component of the direct contribution of travel and tourism. In 2017, India generated Rs 1,777.1 billion in visitor exports. In 2018, this is expected to grow by 8.8 per cent, and the country is expected to attract 18,655,000 international tourist arrivals. 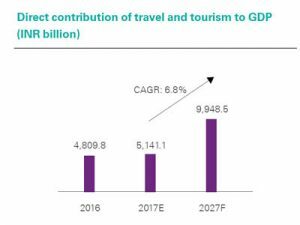 By 2028, international tourist arrivals are forecast to total 30,469,000, generating expenditure of Rs 3,316.4 billion, an increase of 5.5 per cent per annum. 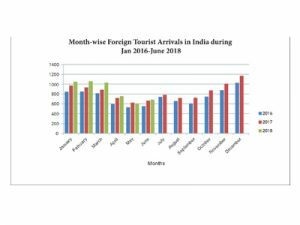 India has witnessed a total of 51,63,343 Foreign Tourist Arrivals (FTAs) in 2018, a growth of 7.9% compared to 2017, reveals a latest report ‘India Tourism Statistics at a glance 2018’ by the Ministry of Tourism (MoT). Last year, from January to June, the country saw 47,84,847 FTAs. However, in 2016, there were 41,68,864 FTAs during the same months. When compared, an increase of 14.8% was found in FTAs from 2016 to 2017. The report also mentions that in FY2016-17, the months of April and June saw 21.3% increase in the number of FTAs – the maximum in the year. In April 2016, there were 5,92,004 FTAs in the country, whereas 7,17,899 in 2017. The report also highlights that in the current year, March 2018 records the highest percentage (18%), with 10,25,830 FTAs in India. 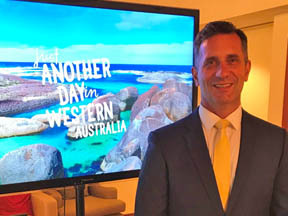 Travel Tours, the flagship leisure travel brand of FCM Travel Solutions – Indian subsidiary of Flight Centre Travel Group Australia, recently inaugurated its fifth store in Bengaluru. 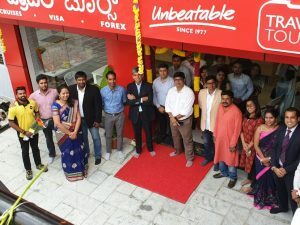 The store was inaugurated by Rakshit Desai, Managing Director, India at Flight Centre Travel Group. With the launch of this store, FCM Travel Solutions now has 30 operational Travel Tours stores across India. The new store in Bengaluru aims to fulfill the diverse needs of travellers in the city by offering both personalised vacations and group tours. The store will cater to the needs of high-end urban consumers such as families, business travellers, honeymoon couples and large groups of travellers. Expressing his thoughts on the launch, Desai said, “The launch is a further development of our expansion and strategic intent at Travel Tours across the Southern India. Bengaluru contributes to 22 per cent of leisure travel at Travel Tours overall and 35 per cent in South India. This year has been exciting for us and as we expand rapidly into the year, we plan to open 50+ stores by 2020.” Travel Tours current footprint extends to a total of 30 stores across Mumbai, Delhi, Chandigarh, Jalandhar, Ahmedabad, Vadodara, Pune, Bengaluru, Hyderabad, Kochi, Anand and Nagpur via a combination of owned branches and newly opened franchise outlets.